Available for men and women as tee shirts, hoodies, and long sleeve shirts (and stickers!). This cute hipster squirrel design is available in a variety of styles and colors for men and women. Plus, who doesn't love unicycles? 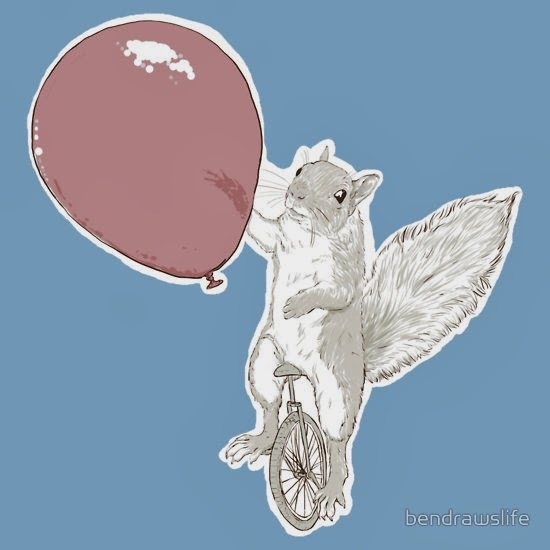 Besides, it's perfect for that friend who always wanted to coordinate a squirrel circus.